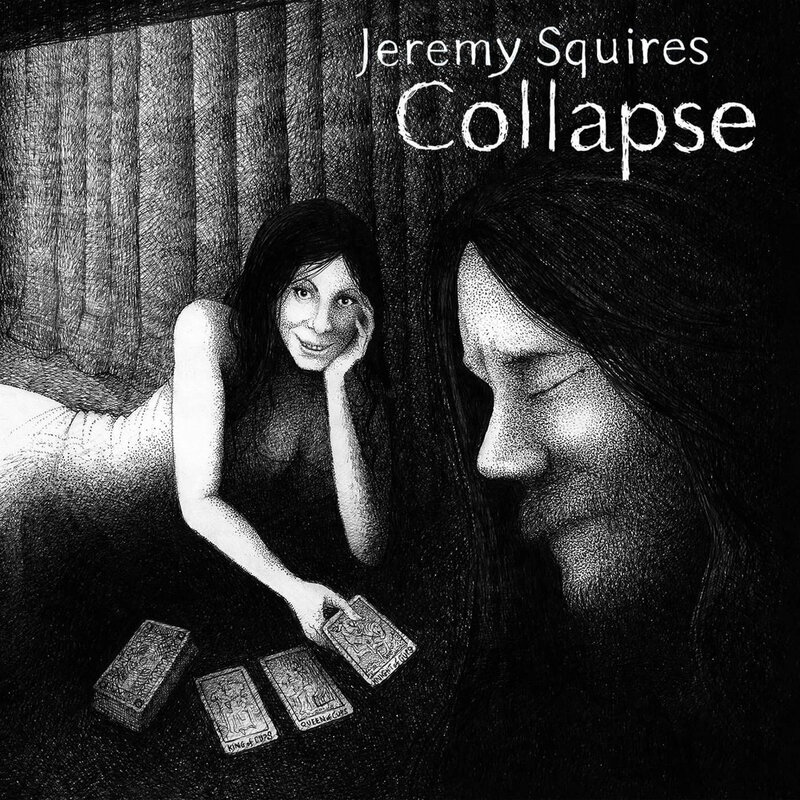 Jeremy Squires' first album, When Will You Go, made a huge impact on me. Detailing struggles with depression, it was the medicine I needed at the time. Squires has no difficulty taking difficult subjects head-on. In Collapse, Squires unflinchingly guides us through his mother's death, the struggles of dating an addict for years, and finally letting go. In Squires' case, he went on to meet his fiancee, pictured below and featured on some of the tracks. While most would accompany them with a brooding melody and a heavy touch on the guitar, Squires' music is tired and stretched out, an exercise in bends on detuned strings and falsetto. The situation is no longer taut -- after all, it's over and done with. The softness that permeates Squires' music is more of a gut punch than any banger or dirge. It's as if Squires has already felt those and can only, at last, speak his heart now that he's exhausted all other emotions. And maybe it's at that point, when the anger and sadness and grief become the background noise rather than the melody, that recovery can begin.